PUBG has told a federal court in California that there are no grounds to dismiss its lawsuit against the Chinese developer NetEase. According to the company, the "Rules of Survival" and "Knives Out" games are blatantly copied from PUBG, accusing NetEase of hiding the similarities with new game updates. The success earned the company hundreds of millions of dollars, which inspired other developers to create similar games. Some of these games are too similar, according to PUBG. To protect its financial interests, the company, therefore, decided to take the developer of two alleged spinoffs to court. 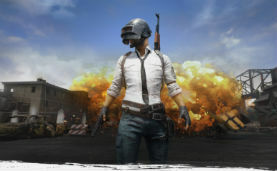 PUBG sued the Chinese company NetEase, the makers of ‘Rules of Survival’ and ‘Knives Out’, accusing it of copyright infringement. While NetEase readily admitted that its games operate in the same genre, it refuted the copyright infringement claims. Last month the company filed a motion to dismiss the lawsuit, describing it as an attempt to monopolize the popular “battle royale” genre. This motion triggered a response from PUBG this week, in which it describes NetEase’s defense as baseless. “Defendants’ attack on PUBG’s complaint is baseless. PUBG is not seeking ‘to monopolize the popular ‘battle royale’ genre of video games,’ instead, it seeks to protect its creative expression of unique and distinctive elements within its BATTLEGROUNDS game,” PUBG writes. NetEase argued that the infringement claims are unfounded, pointing at several elements that are clearly different. However, PUBG clearly disagrees, noting that individual elements and the overall selection and combination of these elements were copied. “Those distinctive and protectable elements have been blatantly copied by Defendants in not one, but two, competing games,” the company writes. NetEase’s defense also summed up a variety of elements that were clearly different in their games. This is a non-issue according to PUBG, as copyright infringement is based on similarities between works. This means that the differences between the games provide no defense. In addition, PUBG notes that this argument is improper, as many of the cited differences were introduced in updates that came out after the lawsuit was filed. “[M]any of Defendants’ claimed ‘dissimilarities’ are a fallacy, strategically inserted by Defendants after this lawsuit was filed, in a clear attempt to mask Defendants’ blatant infringement,” PUBG writes. The developer provides several examples of ‘Rules of Survival’ changes that were added after the complaint was filed. These range from changes to optimize the gameplay to the addition of new weapons and armor. “Similarly, since the initial publication of KO, NetEase has implemented at least 21 updates to add dissimilarities including 9 updates since the commencement of this litigation,” PUBG writes. Based on these and other arguments, PUBG asks the California Federal Court to deny the motion to dismiss, and let the case proceed. It is now up to the court to decide if that will indeed happen, and time will tell which side gets the chicken dinner. A copy of PUBG’s opposition to the motion to dismiss is available here (pdf).